When you think about traditional wet shaving, one of the most potent images you tend to conjure up is the Semogue brush – a boar-knot brush with a lovely wood or marble handle, with that convex tuft of boar hair sticking out the other end. The Portugal-based company Semogue is one of the best boar brush companies in the world, and despite their similarities, there are some subtle differences to the many different kinds of Semogue brushes they offer. Good thing for you we’ve put together a nifty little guide to let you know the pros and cons of some of our favorites, so you can make the choice for yourself. We will tell you all about the Semogue boar bristle brushes (say that ten times fast) in just a moment. We first want to tell you about the history of Semogue just because we like the company and find stuff like this interesting. Let’s juice up the Delorean because we are going to high tail it back in time for a few! Semogue began making shaving brushes back in 1955. This is a family company that holds the handcrafted production and high integrity of each of their products above all else. The company is still in the original building that they opened shop in back in 1955 and remains one of the top shaving brush brands still to this day. Before Semogue earned its current moniker and held the current owners, it was the brain child of Antonio Augusto da Cruz, a businessman from Lisbon. He decided one day that he would like to start a company that made a great many products and shaving brushes were at the top of the list. During these early stages of the business it was named after its creator, Antonio and remained under that name until 1975. In 1975 the company was bought by Francisco dos Santos Gomes, who happened to be the production manager for the years that Antonio Augusta da Cruz owned the company. Francisco then renamed the company after himself. A few years down the road he invited his son, Manuel Francisco da Silva Gomes to get in on the action and from there on out the company was known as Semogue. Francisco passed on in October 2000 and left the fate of the company in Manuel’s very capable hands. Semogue is still rocking and rolling 14 years later and it seems like Manuel really knows his stuff just like his father did. 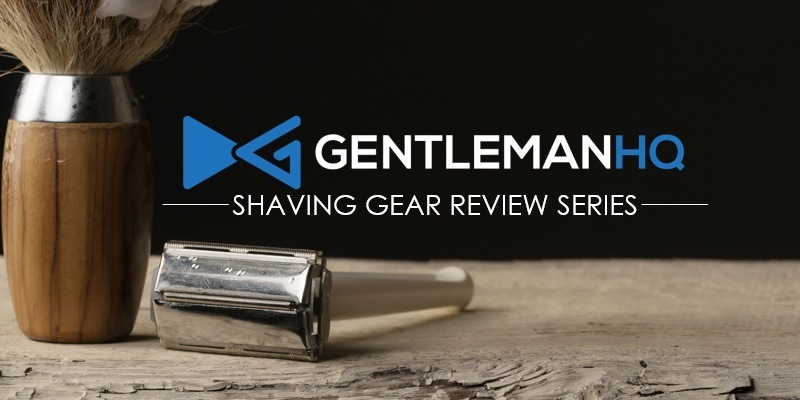 He is continuing to make an indelible mark on the shaving industry with top notch items available to many different countries. From its inception, Semogue has maintained a philosophy that it would produce excellent goods and serve as leader in the market, especially in it birthplace in northern Portugal. They pretty much locked in the market in the region and left the south part of the country to the competing company, Excelsior. Both Semogue and Excelsior work side by side in friendly competition still to this day, but with slightly different products to offer consumers. New schools means of shaving have done nothing to impact the endurance of this company. The amazing quality of their products stands as a testament to what they mean to the shaving market. Despite making a name for themselves in the Portuguese market, Semogue has found major success in the United States, Spain, France, Canada, Ireland and Germany. Semogue offers many products and has a little something for everyone. Their major draws are certainly their shaving brushes, creams, razors and aftershaves, but it doesn’t stop there. They also have full health, beauty and home lines. Now that you know all about the company that makes these brushes, let’s get right into what they have to offer. First up is the Semogue 830 brush. At first, its appearance is a little unconventional – instead of the stained wood you’re used to, the handle is made of clear, thick glass so you can see the red base in which the soft, bristly boar hair is knotted and tied into. It’s not the most old-world look for Semogue brushes, but it is definitely eye-popping. Think of it like the wet-shaving version of one of those clear graphing calculators – you get to see what’s inside what you’re using, which is always a nifty thing. As for the quality of the shaving apparatus itself, you won’t be disappointed with this brush. Luckily, like most Semogue brushes, the 830 features some of the softest boar hair you can find in a wet shaving brush – it’s sturdy enough to hold up to your movements as you build up a lather, but it won’t scratch your skin off (which is always a plus). It’s a bit on the smaller side, which makes it perfect for taking it with you on long trips and planes, and even as one of Semogue’s more expensive brushes, it’s a steal at about $23. If you want a Semogue brush that is a bit more on the old-school side – maybe one that looks more like the one your grandpa used – the Semogue 1438 has an appropriately classic design. Here, we have a white ceramic handle, smooth to the touch and easy to grip, with a black stripe dividing the white section from the deep, dark, lipstick red on the bottom. (Think of it like a classy bowling pin that you use to shave your face.) My favorite part is the overt groove on the bottom, where the black stripe is – it makes it much easier to grip and apply for your lather than the slightly smoother surface of the 830. Still, grip style is a matter of preference, so either of these would be perfect to use. Again, the boar hair bristles are not the softest of the bunch, but they will get the job done. The sturdiness of this particular brush helps to shred some of the heartier soaps that you might come across, making it easier to apply to your face. Plus, this is one of the least expensive Semogues available at around $17; if you want to try out a Semogue without spending all that much money, the 1438 might just be up your alley. If you want a brush with even more class, the Semogue 1305 is yet another option for you. With this one, you get the ceramic elegance of the 1438 with a slightly altered design. Here, the white section is at the base of the handle, with the overt groove having a wider angle and being placed closer to the bristle end of the brush. A double set of grooves adds a bit more class to the mix, and the upper half is a stark, glossy black color. This offers you a bit more grip without feeling like you’re holding it like a feather duster, giving you better control over the actual brushing motion. If you like that level of control, the 1305 offers a nice middle ground between old-school style and functionality. It’s also a nice middle-ground price at $19, so you can upgrade your grip without paying out too much more. The 620 Semogue brush harkens back to the clear design of the 830, this time with a black knot base hidden within the transparent handle. The handle of this one is a bit shorter than most Semogues at 44mm, which makes it a bit more of an appropriately portable design. The bristles in this model are packed a little bit tighter due to the smaller size of the brush – this means that you have to spend a little more time working with it and softening them up before you can successfully build a later. Still, at $21, it’s not a terrible price for something a little more portable and perhaps more to your style, if you like the brush-in-a-shotglass look. Finally, we get a wooden handle! The handle design is similar to the 1305, so you get that classy grooved design with a concave handle for gripping, but this time it’s made of a lightly finished, high-quality wood to give you that much more of a rugged feel. It’s a bit larger and taller than most other brushes, but this ensures you get a nice, long lather that builds much quicker, and you’ll be shaving in no time. This particular model is a cool $20, which is comparable to the other Semogue brushes out there, but if you really want the kind of continental feel of having a finished, crafted wooden handle, the 1800 will do the job just fine. These things are synonymous with classy shaving, and for good reason; there is an elegance and sense of tradition that comes along with using a wooden Semogue brush that makes you feel quite the classy fellow. Not only are these lovely-looking brushes, they’re incredibly effective at what they do, which is lubing up that chin with your favorite cream or for the close shave you’re dying for – if you take care of your brush properly, you can’t go wrong.